I apologize for not posting over the last few days. I took a whirlwind trip to Hanoi, Vietnam to speak at an amazing conference about religious freedom issues at the Vietnam National University Hanoi, University of Social Sciences and Humanities. Vietnam is working on important religious freedom legislation which could benefit many different groups, including indigenous religions. I was there to speak about RFRAs in the U.S. and the Japanese Shuukyou Hojin Ho (Religious Juridical Persons Act). While the latter law is fascinating, this post will focus on two very interesting questions that members of the audience asked about RFRAs. The first question was how robust religious freedom legislation can best be applied in order to allow government to maintain national security (and local security). Given the concerns raised by extremists in the nearby Philippines this question was quite apropos. The second question dealt with protecting sacred sites of indigenous religions (of which there are many in Vietnam). I answered the questions under both RFRA and the Japanese Shuukyou Hojin Ho. The results were similar; although for somewhat different reasons. I will focus only on RFRA here. Security: Under RFRA the Compelling Interest Test allows government the flexibility to act in order to protect people who could be harmed by a religious individual or group. Government always has a compelling interest in protecting the health and safety of the people. Significantly, however, the requirement that government action designed to protect a compelling interest be narrowly tailored, along with the requirement that there be evidence supporting the compelling interest, prevent the government from simply targeting unpopular religions under the guise of generally applicable security laws. This latter point is important, because as we see in Russia today security concerns are being used to persecute and ban religions that pose no security threat whatsoever, such as Jehovah’s Witnesses. In the U.S., RFRAs give the government the power to act to protect security, but not to interfere with religions that threaten only the current concerns or values of the government (as has happened in Russia and elsewhere). Of course, the U.S. government pushed the limits of this under the inappropriately named Patriot Act. Still, as a practical matter this is a far cry from the use of security concerns in some countries to quash unpopular religions. Sacred Sites: RFRAs and AIRFA (the American Indian Religious Freedom Act as amended in 1994) have the potential to protect sacred sites of native religions; although under the original version of AIRFA and under the Free Exercise Clause, this protection was incredibly weak. RFRA was, of course, passed in response to Employment Division v. Smith, which held that ritual use of peyote by Native Americans was not entitled to a mandatory exemption under the Free Exercise Clause. The 1994 Amendments to AIRFA were also passed in response to Smith, as well as in response to an earlier case called Lyng v. Northwest Indian Cemetery Protective Association. In that case SCOTUS held the government could build roads through sacred sites even where the road construction would effectively destroy Native American religions (ultimately, the roads were not built through that land thanks to the findings of a report issued by the United States Forest Service). Today the Federal and State RFRAs, along with AIRFA, can be used to protect sacred sites. As recent events in Montana demonstrate, however, Native American sacred sites located on government controlled land are subject to far more risk than they should be. The Vietnamese currently protect native sacred lands as cultural rather than religious sites, and the level of protection can be quite low. It appears that stronger religious freedom protection would allow less interference with these sites for a variety of reasons well beyond the scope of this post. Here, RFRAs can serve as a model, even as we still grapple with these issues in the U.S. Given all the recent battles over RFRAs it was heartening to see that more than 7900 miles away from my home some brilliant people are working to create religious freedom in a different cultural and political context, and that perhaps they can learn from the mistakes made in the United States and elsewhere as they work to protect sacred sites in their incredibly diverse culture. 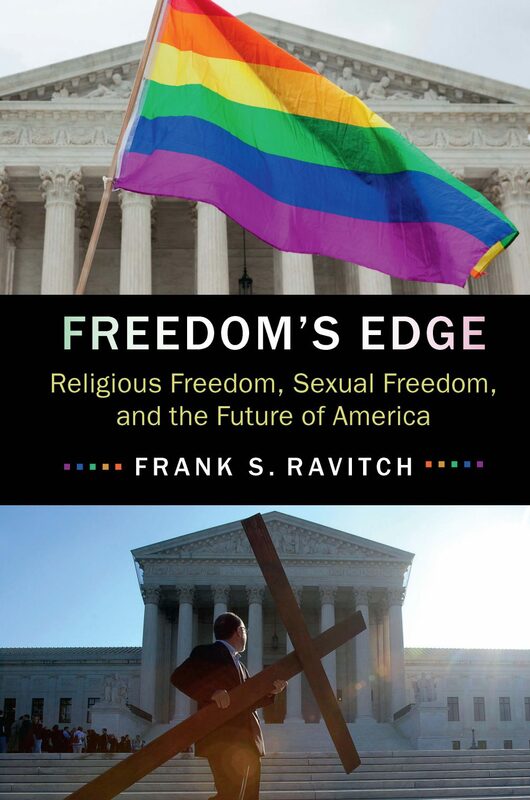 FREEDOM’S EDGE: RELIGIOUS FREEDOM, SEXUAL FREEDOM, AND THE FUTURE OF AMERICA (CAMBRIDGE UNIV. PRESS) IN PRINT NOW!